Selling your home in a sellers market is AWESOME! You have buyers fighting for your home and often times this can result in a over asking price on your home. BUT we have had several sellers ask us what happens if they sell their home but they can not find a new one due to their the market conditions. 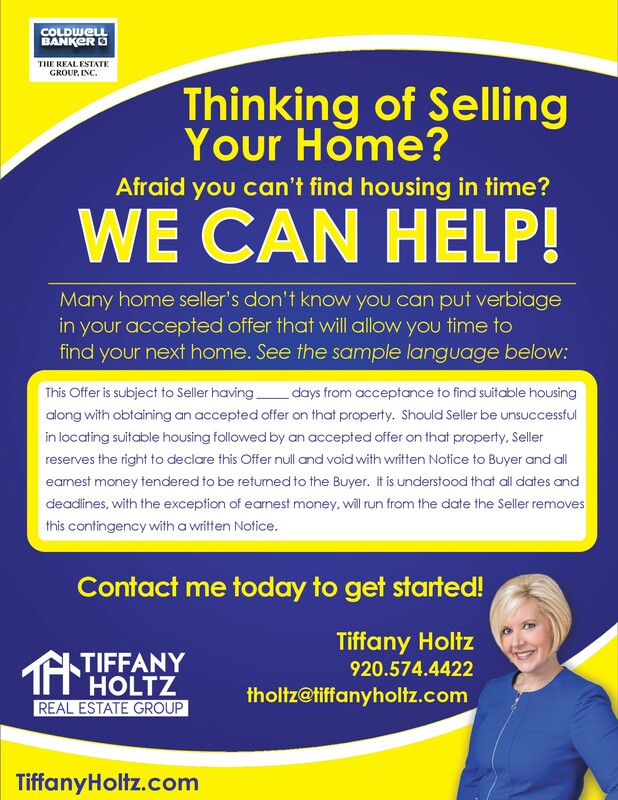 Well no fear because Tiffany Holtz Real Estate Group has create a Suitable Housing Program just for you! At Tiffany Holtz Real Estate Group we have taken out all the risk when you sell your home. First we offer to buy your home if it does not sell in under 120 days! Secondly when your home does sell we put language in your accepted offer that gives you time to find your new home or the offer will become null and void! Without risk when selling your home we make this otherwise stressful process STRESS FREE!